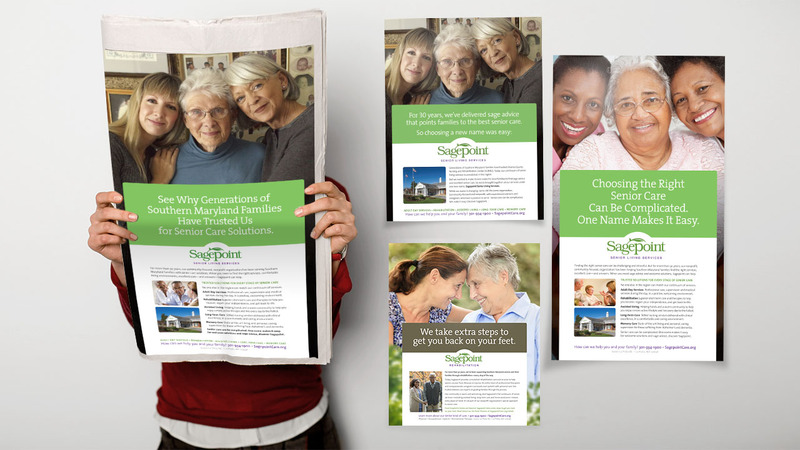 The Charles County Nursing and Rehabilitation Center (CCNRC) Family of Care in Southern Maryland came to us with a 30-year history in the market, and big plans for growth. 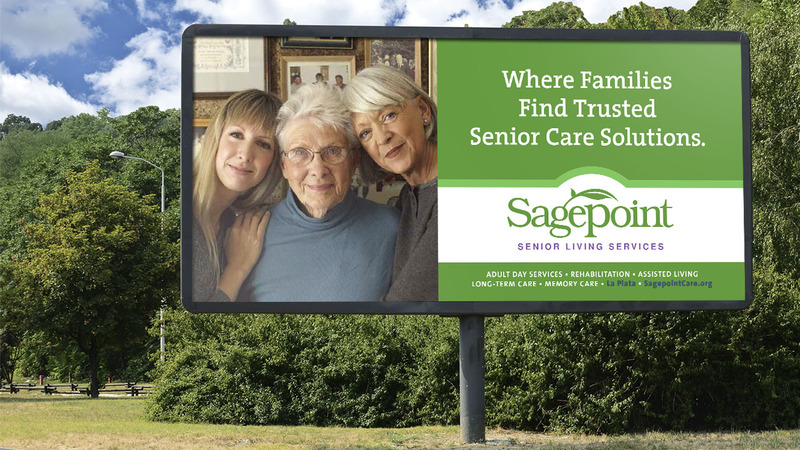 It also had a major challenge—a limiting name and little recognition of its breadth of senior services. The nonprofit provider called on Crosby for a complete rebranding: a new name, positioning strategy, website, and a full range of marketing materials. 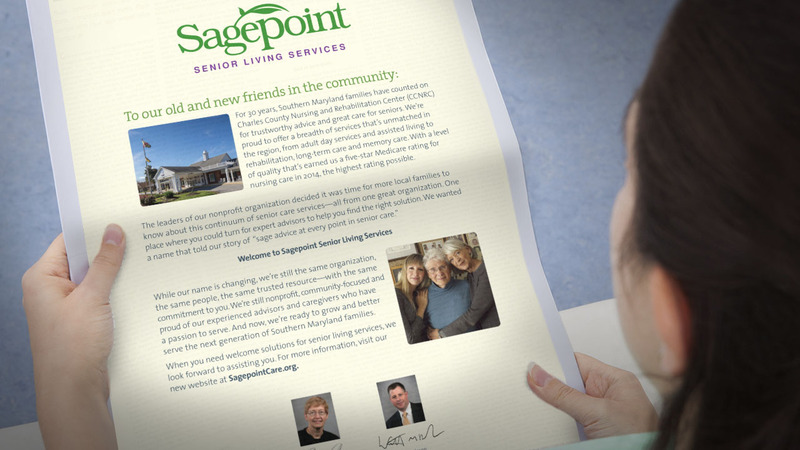 Sagepoint Senior Living Services soon launched with great success. Within 90 days of the approval of the new name, we completed a website re-architect, design and build — featuring expanded content, capabilities and a responsive design for desktop, mobile, and tablet viewing. We also launched new social media channels. 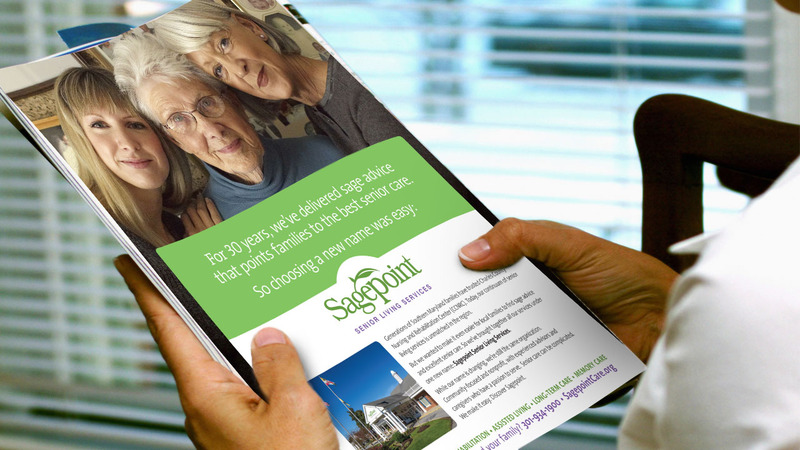 We created a new “overview brochure,” along with individual brochures for each of Sagepoint’s five service lines. 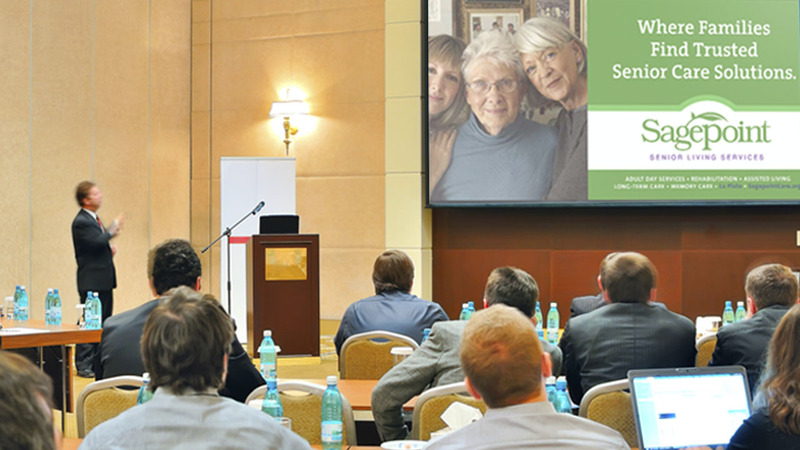 Full-page ads with bump-outs, vehicle wraps, billboards, advertorials and e-blasts helped launch the new brand. It was important that the community knew the same quality team was in charge. 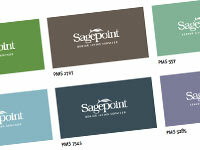 Sagepoint’s debut began with town hall-style presentations to employees, residents’ families, VIPs, and area business leaders.